I haven’t been on extremely long flights, but even on flights that take three or four hours long, I get fidgety unless I fall asleep. Lucky for me, my body seems to take a moving vehicle as a signal for sleep most of the time. If all else fails, there is the iPad which keeps me busy for the duration of the flight. If you are going on a trip soon, and you are preparing yourself for hours on the plane, here are some iPad games that have proven to be entertaining. Download them before you go. You won’t regret it! Every time I write something about awesome iPad games, Flight Control makes it to the list. It is that awesome. 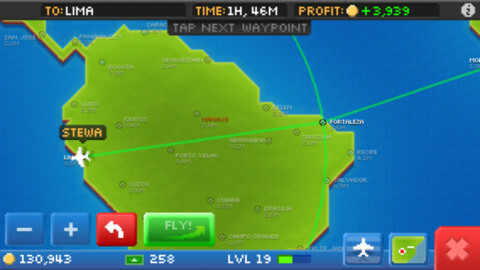 The premise is to route and reroute planes so that you can land all of them safely. 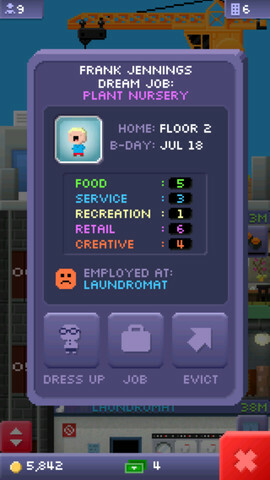 It is a bit weird to play this game while you’re 30,000 feet above ground, but you’ll certainly not feel the time pass. Not that I have a plane fixation, but this is another game that has kept me really busy. The thing about this game is that you have some waiting time as the planes go from one city to another, so it is a good idea to play it in tandem with something else. The premise is to manage your planes and airports and load passengers with the goal of making as much profit as you can. You can upgrade your planes and buy new ones as well. Oh, and if you’re a fan of 8-bit graphics, you will love this game! From the makers of Pocket Planes, Tiny Towers is another 8-bit game that is perfect to play while you’re waiting for your planes to land. Instead of planes, you get to build a tower with floors offering different services – residential, recreation, food, and so on. You need to assign people to certain jobs, and it also takes time for them to move in. This is the best word game I have every played, hands down. I have spent so many hours on a long drive or flight or simply waiting for other people to show up with this game. 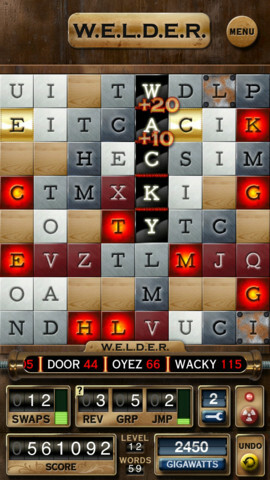 You basically have to form words of at least four letters, but the many different elements added to the game make it very, very challenging. It also has an iPhone version, and what I really like about it is that you can push your game to the Cloud so you can pick it up on other devices. So these are my constant traveling companions. What’s yours?